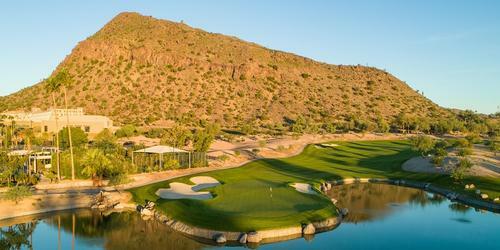 Download the The Phoenician Golf Club mobile app to enhance your experience. Mobile apps contain many features like scorecard, GPS, tee times, news, deals and more! Click on the icons for more information and free download. Combining playability with aesthetic beauty, The Phoenician's 27-hole championship facility is comprised of three memorable nines, each named for its surrounding landscape - Canyon, Desert and Oasis. Pristine desert views, lush tropical scenery, water features and all of the amenities that make golf a pleasure await you. The Phoenician has been named one of the four "Best Golf Resorts" by the Robb Report and is ranked among the "Top 75 Golf Resorts in America" by Golf Digest thanks to course designers Ted Robinson, Sr. and Homer Flint. Currently managed by Troon Golf, the leader in upscale golf course management, The Phoenician offers a truly spectacular setting to enjoy golf as its finest. Please call 480-423-2449 for current rates. 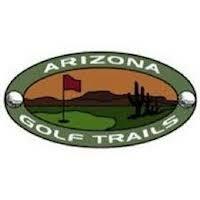 Call 480-423-2449 for rates and tee times. Contact The Phoenician Golf Club at 480-423-2449 for more information and details on holding a golf outing at the course. 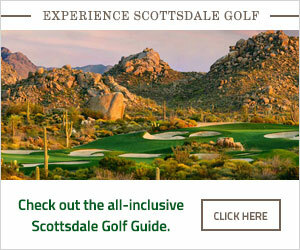 Contact The Phoenician Golf Club at 480-423-2449. Contact The Phoenician Golf Club at 480-423-2449 for onsite or nearby dining options. This profile was last updated on 12/07/2018 and has been viewed 10,682 times.